Download the app from the Shopify App Store or here. 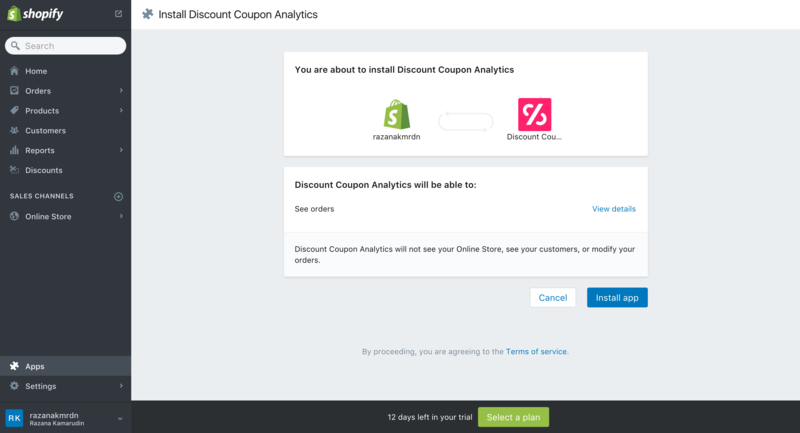 On the Discount Code Analytics page in your Shopify admin, click Install app. Approve charge to complete installation. 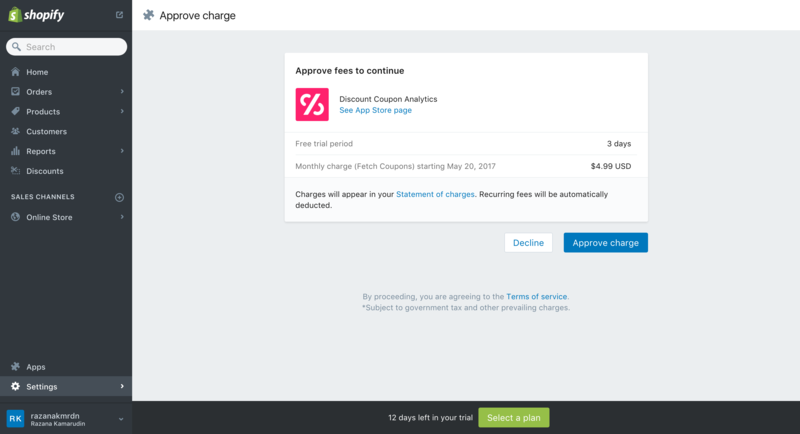 Note: You will be charge $1.99/month after 3-days trial ends. Uninstall before 3 days and you will not get charged. 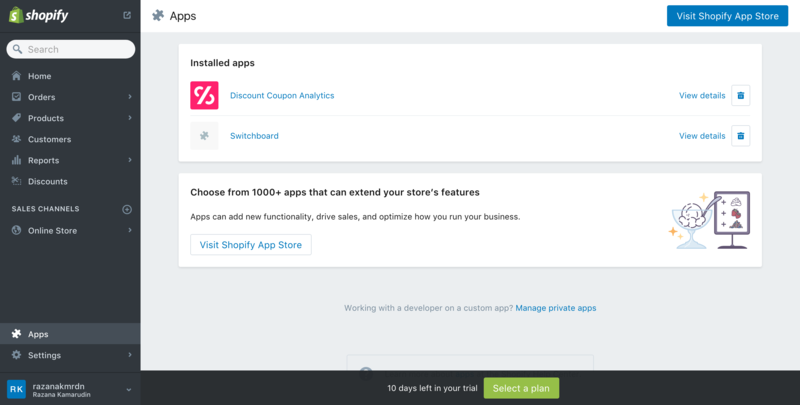 Once the installation is complete, go to Apps on the navigation and click Discount Code Analytics app. 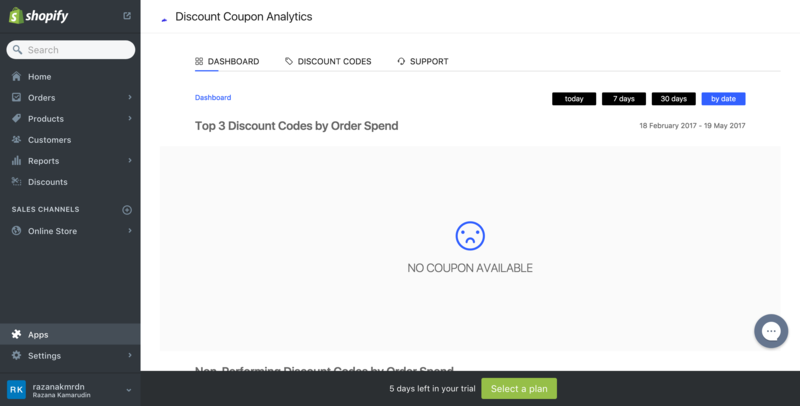 When you first open the Discount Code Analytics app, it will bring you to the Dashboard Screen. 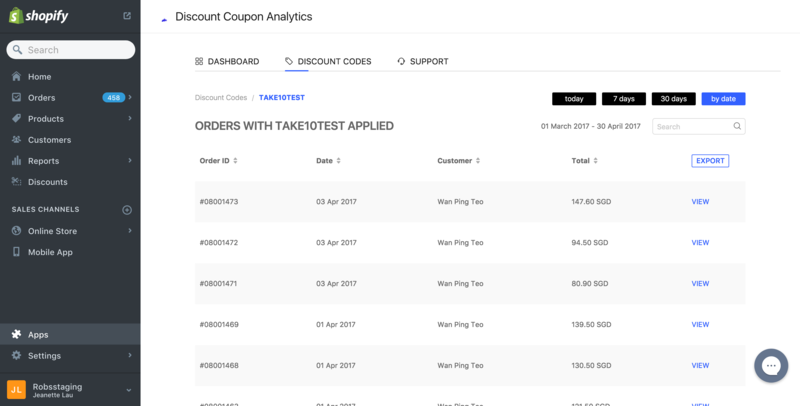 On this screen, you will be able to view the Top 3 Discount Codes by Order Spend and Non-Performing Discount Codes by Order spend. Use the day/date filter feature to view the top 3 and non-performing discount codes by preferred selected day/date. 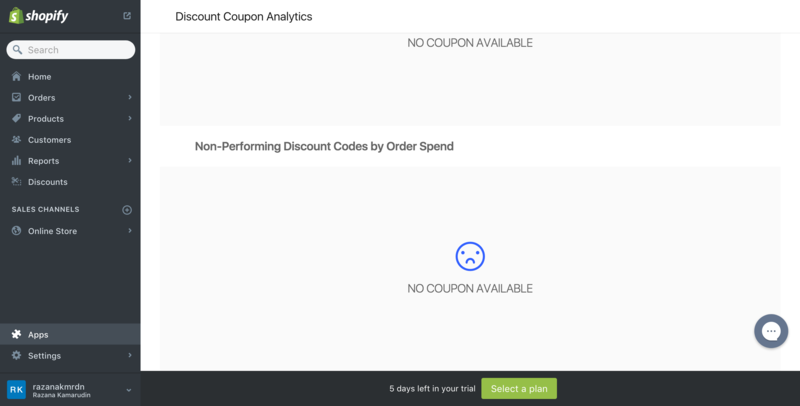 You can also go to Discount Codes tab to track the most performing and non-performing discount codes. According to the selected day/date filter, the app will generate a list of discount codes that are being used. The list will be sorted by the highest to lowest number of total redeemed by default. View discount codes by total redeemed, orders, discounts given and discount type here. Click VIEW on one of the discount code to view orders with this discount code applied. Orders will be sorted by latest to oldest date by default. View orders with the selected discount code applied by Order ID, Date, Customer Name and Total Spend here. Click Export button if you wish to download reports into a .csv file. Alternatively, you can choose to select one of the orders and click VIEW to view more order details. This will bring you to the order details screen.